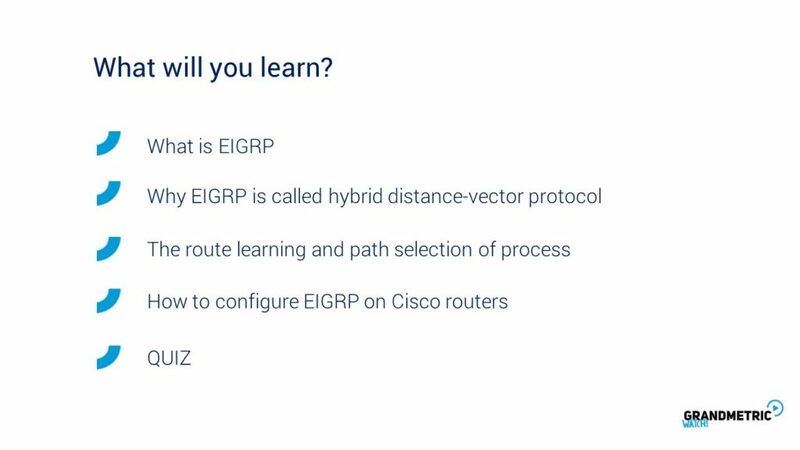 The EIGRP was designed by Cisco Systems and was vendor specific protocols converted to open standard in 2013 and published in RFC 7868 in 2016. 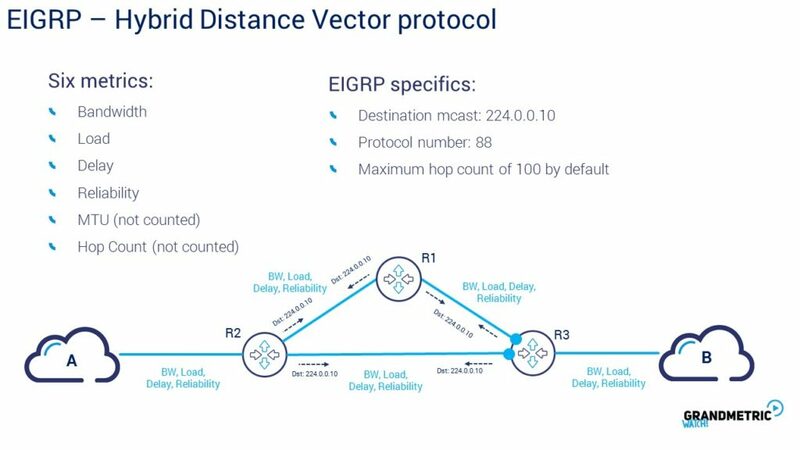 EIGRP is hybrid distance vector protocol meaning that combines the features of distance vector protocols and link state protocols and word about this on next slide. 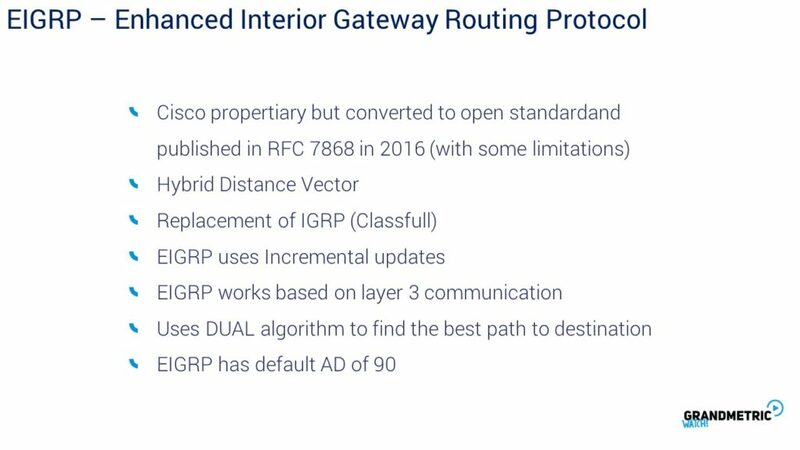 EIGRP replaced the Inetrior Gateway Rrouting Protocol, distance vector protocol that was not able to handle the CIDR and VLSM. 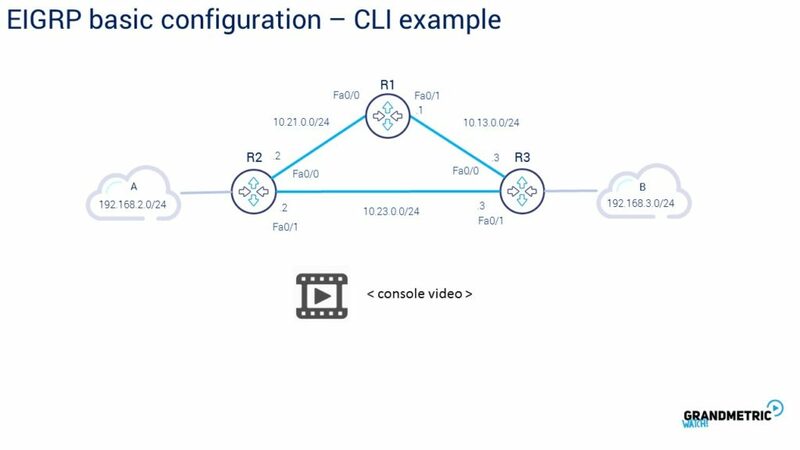 Contrary to RIP which uses full routing table update every time interval, EIGRP uses only incremental updates that means updates are sent only when there is a change in topology. EIGRP uses the layer 3 communication and does not use nor TCP neither UDP to communicate with neigbors. To calculate best path to destination Diffusing Update Algorithm to calculate the best path to destination. The default administrative distance is 90. 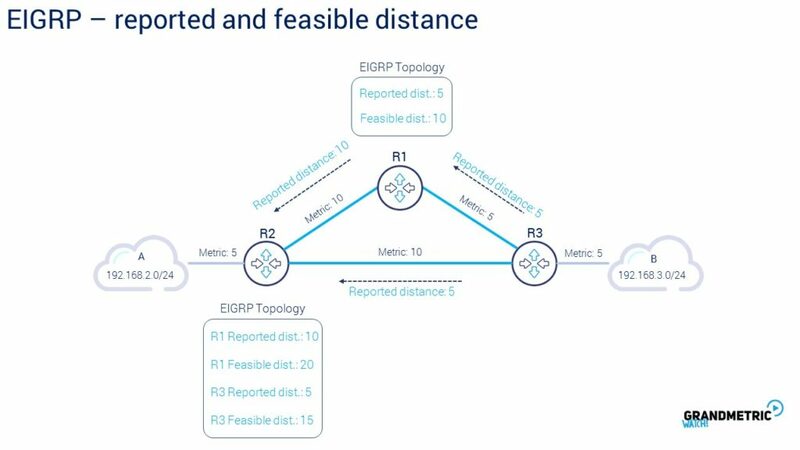 EIGRP determines the value of the particular path using following metrics: bandwith, load, delay, reliability. The MTU and hop count metrics are not counted to final composite metric of the path. The Bandiwdth is the minimum band along the path from router to destination given in bits per seocnd. Load is the link saturation and takes values from 1 to 255, reliability takes values between 1 and 255 where the 255 is most reliable. The two not counted metrics are Maximum transmission unit for given interface and and hop count. Hop count is the numer of routers that packet traverse to destination network. Hop count metric is used for EIGRP Autonomous system limiting where the limit is by default 100 hops. Routes that have the numer of hops higher than 255 are considered and advertised as unreachable. Hovewer final routing metric called composite metric is calculated using five parameters. So called K values. The composite metric is the product of given formula. K values can be modified by network administrator thus changing the final behavior of the formula. By defualt K1 and K3 equal to 1. that is why the formula simplifies. In addition is worth to mention that K5 value when set to 0 the k5 devided by k4+reliability takes the 1 value which is not true from the maths point of view. 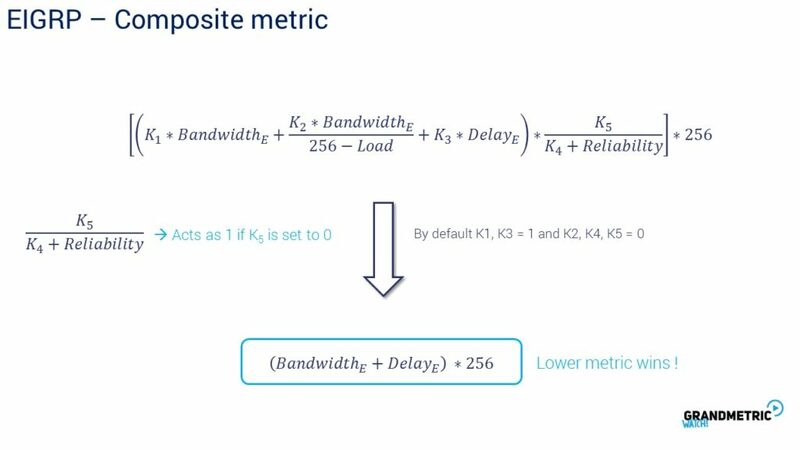 However to simplify the EIGRP composite metric calculation on the routers by default K1, K3 values are set to 1 and K2, K4, K5 are set to 0 resulting in final shape of formula being the Bandwidth plus Delay Times 256. So, the metric for EIGRP path is by default dependent on purely Bandwidth + Delay calcualtion. In the metric comparison for particular destinations the lowest metric wins. The important thing is that composite metric formula needs to be the same on each router within the EIGRP topology. 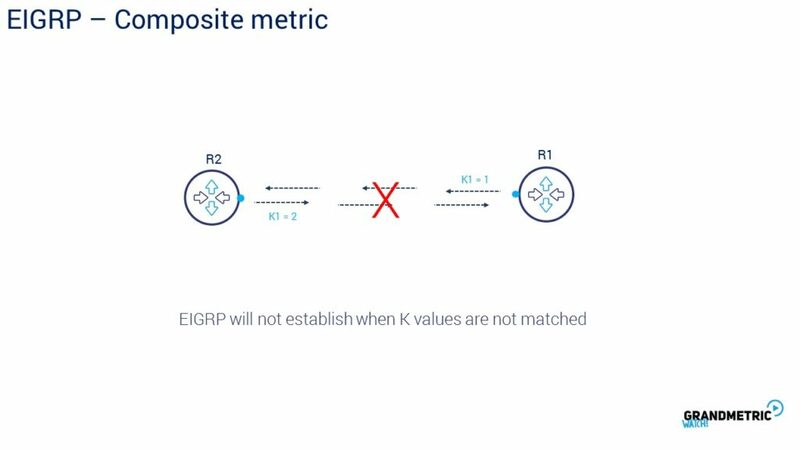 If K values are not matched between EIGRP neighbors the proces fails to establish. Now Lets take a look on EIGRP establishment proces. EIRGRP enabled routers start to send the hello pakcets to destination multicast address of 224.0.0.10. 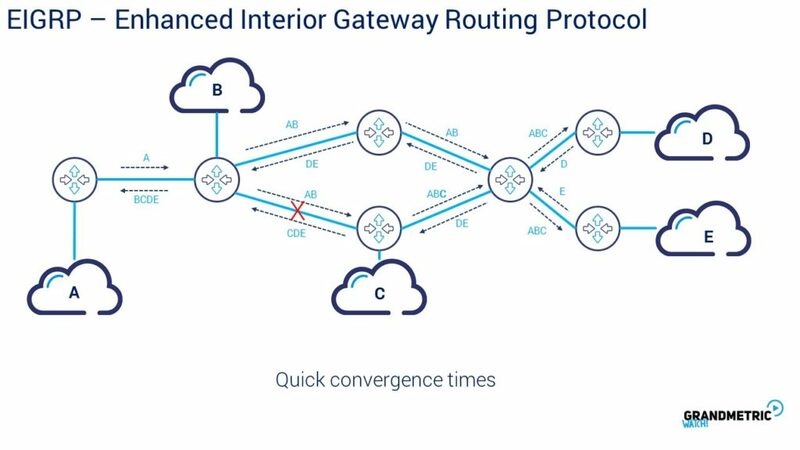 If the neighboring directly connected router is also configured properly for example the Autonous system or proces numer is the same then the EIGRP neighborhood is established and routers start exchanging the routing information. To configure the Cisco routers for EIGRP , the EIGRP process needs to be configured first with proces ID. The proces id should be common across whole EIGRP boundary. Then we should define the networks that will cover the interfaces on which EIGRP will exchange the hello packets. Look that contraary to RIP routing we specify the wildacrd mask of the interfaces to point out the right addressing. At the end we specify that the routes should not be summarized to classfull network leaving the real mask length. 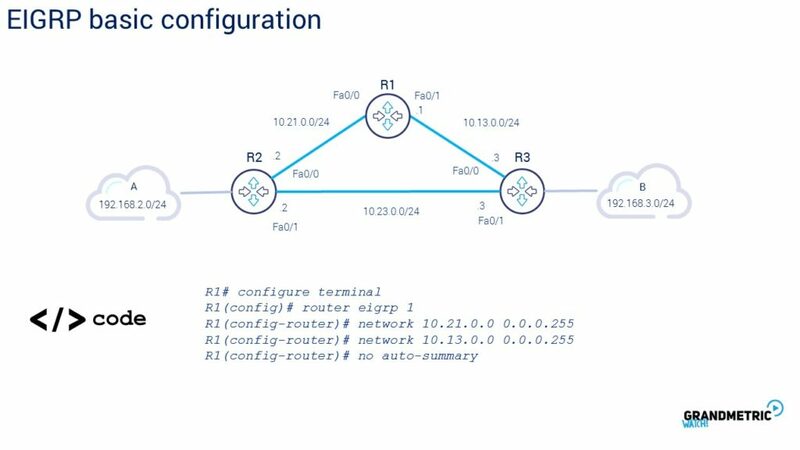 Now, Lets configure all three routers in our topology to speak EIGRP protocol and lets see how the establishment proces works. Starting with R1… Look at the routing table to proof the EIGRP takes the administrative distance of 90 by default. 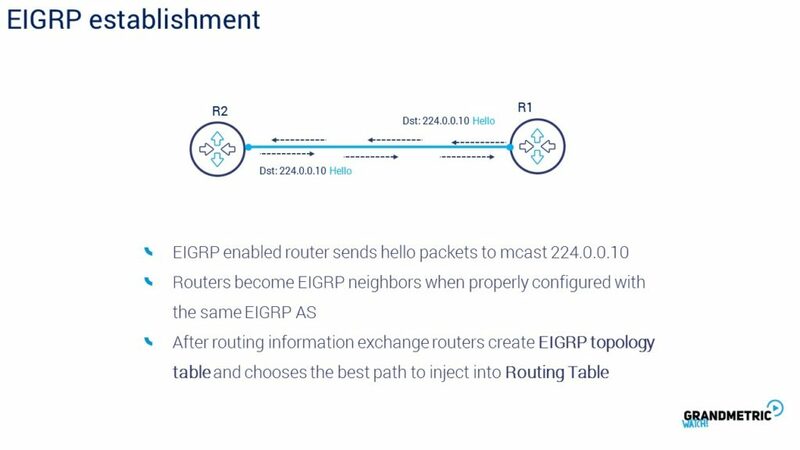 Lets now learn how router builds the EIGRP topology table. 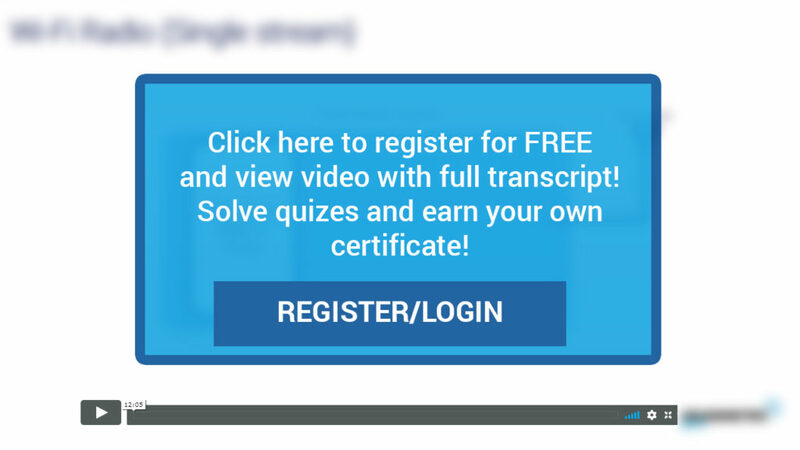 For the purpose of this lesson we have put the custom metrics belonging to each link to better understand the concept. In reality the numbers are much higher. However lets stick to the distance. We are gonna analyse the B network advertisement. B network behnd R3 is its connected route and this connection has metric of 5. R3 then reports to the neighbors this netwokr with distance of 5 because it has 5 distance to reach that network. The router 1 receives the reported distance from rotuer 3 and stores the information in its EIGRP topology. At the same time r1 calculates the distance from its point of view adding the metric for link between r1 and r3.